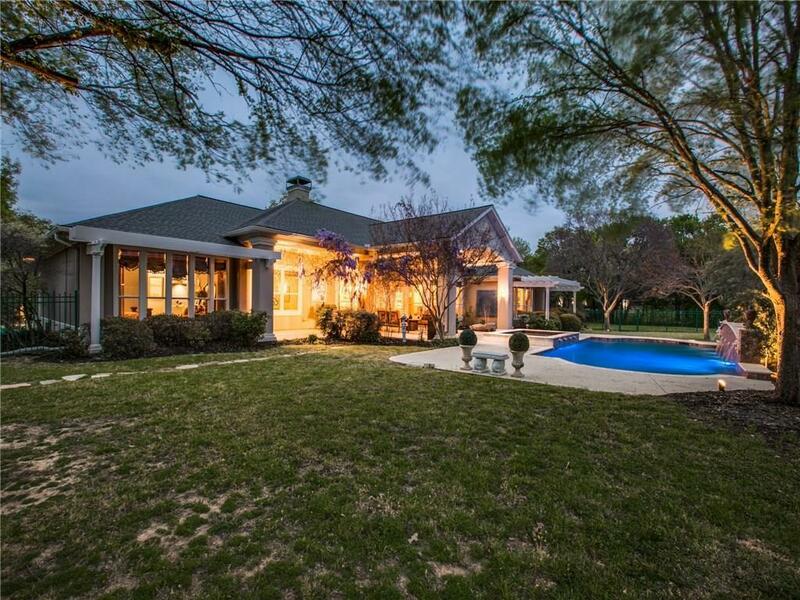 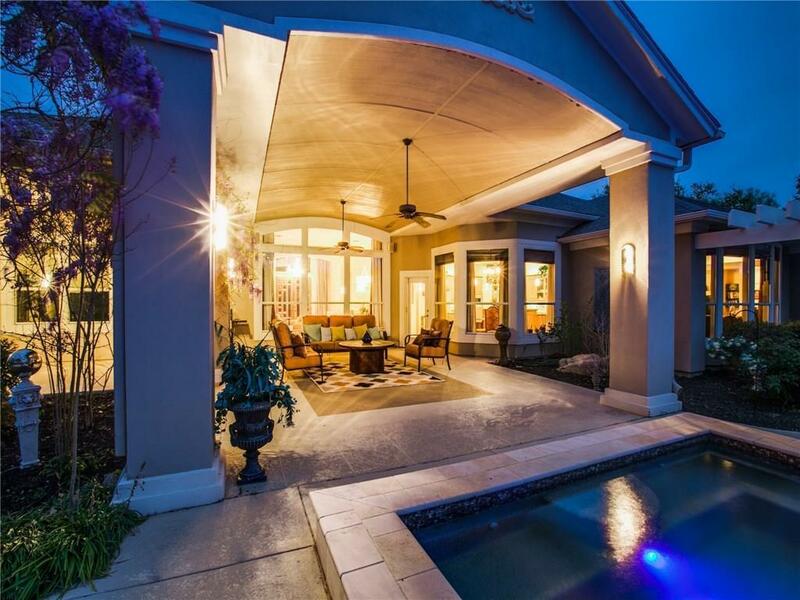 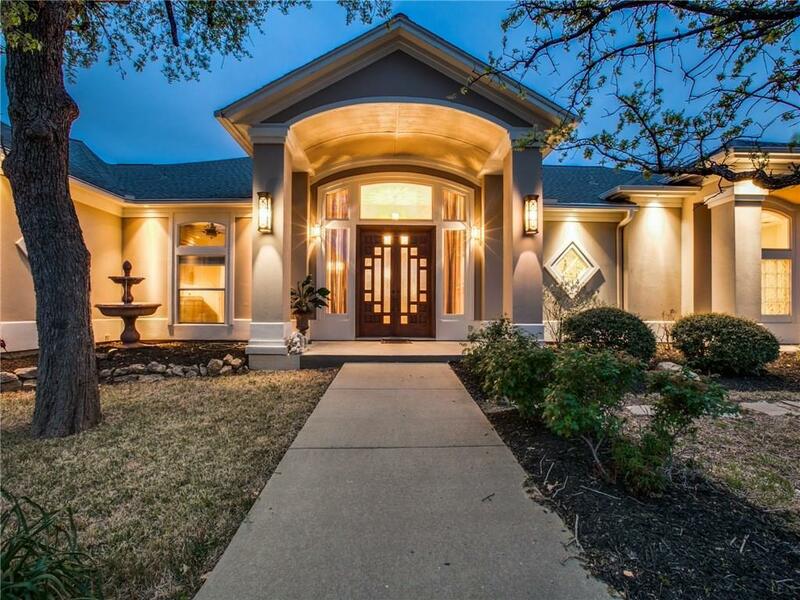 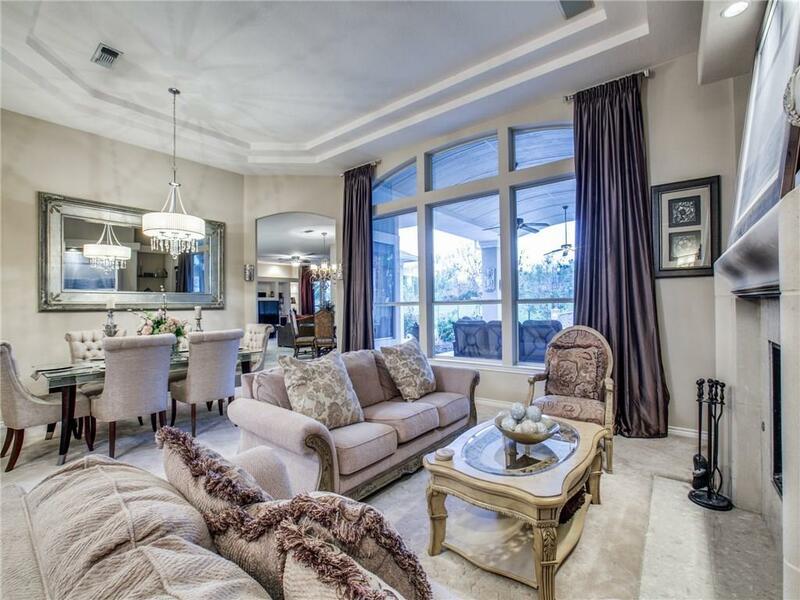 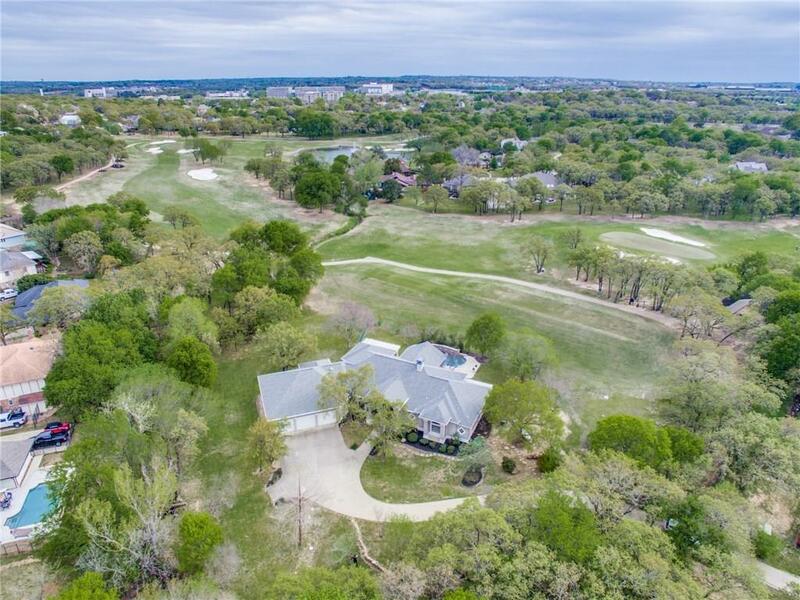 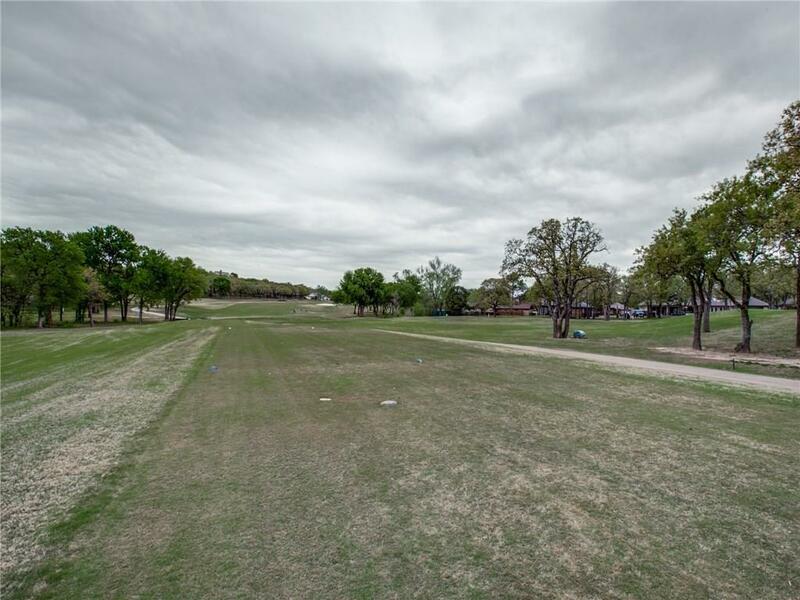 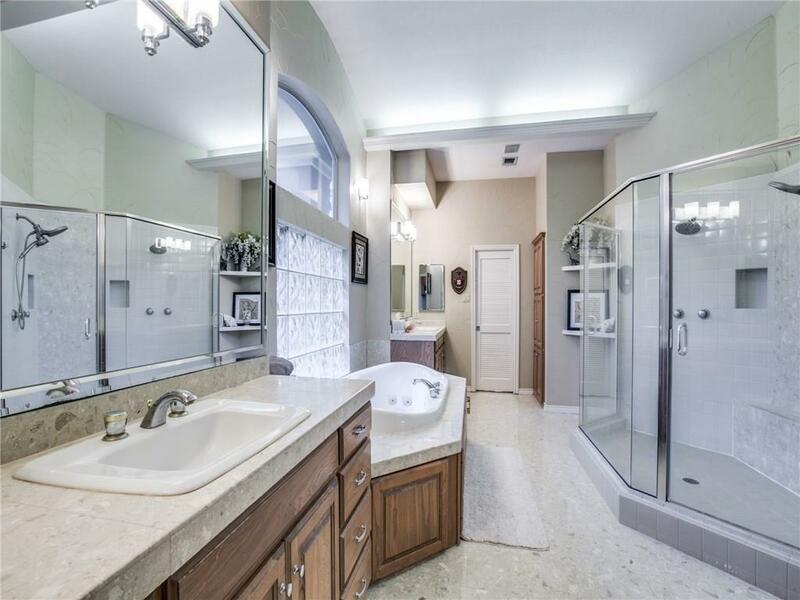 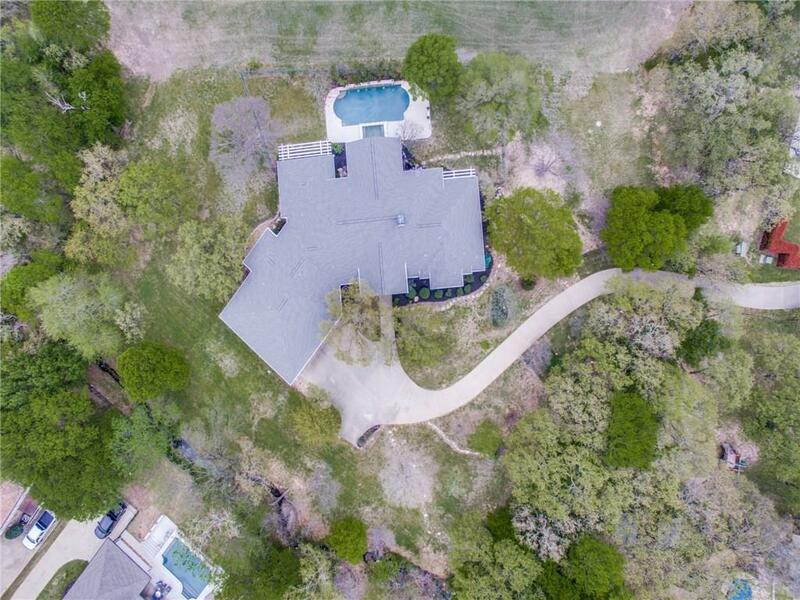 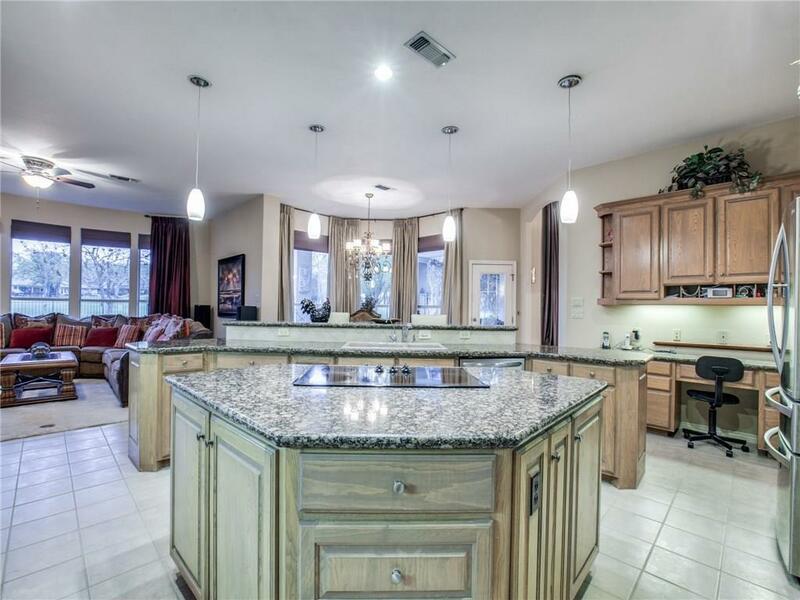 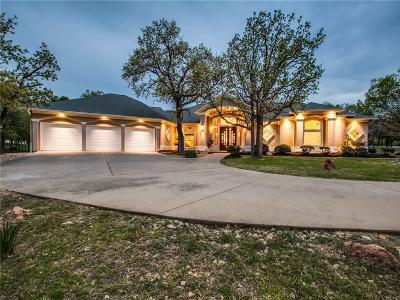 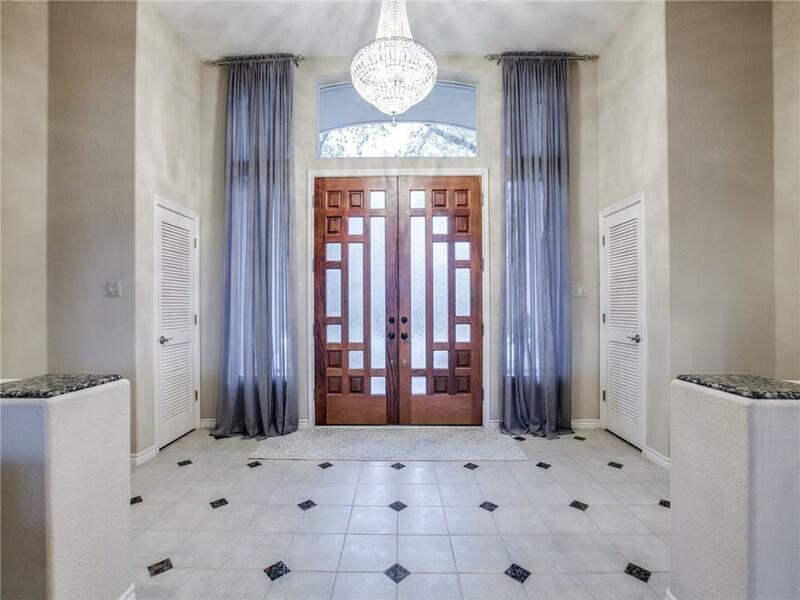 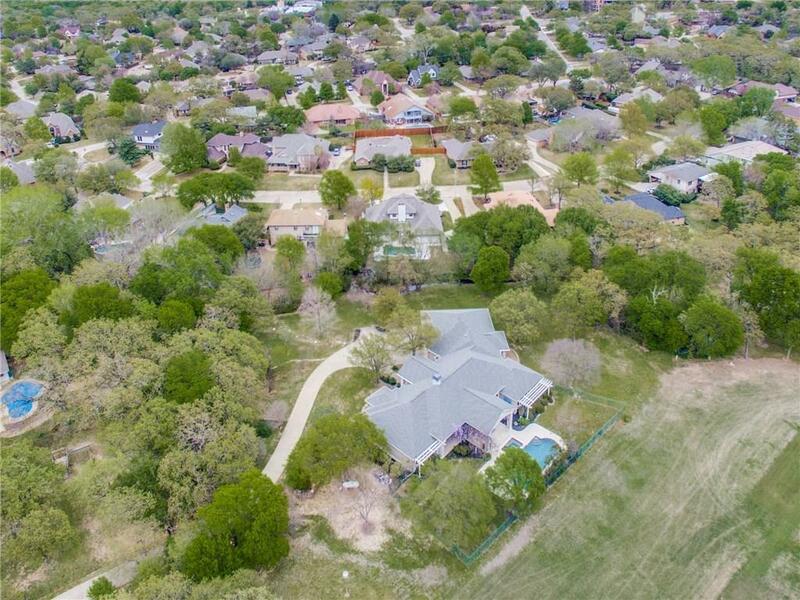 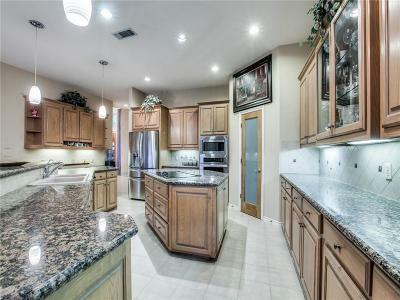 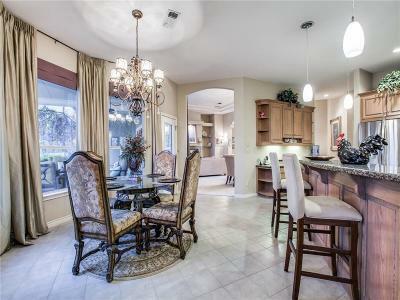 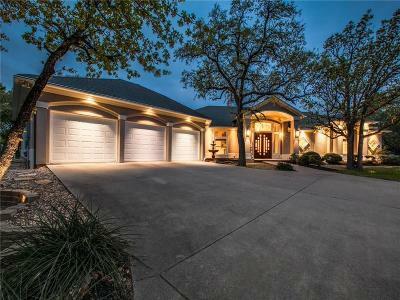 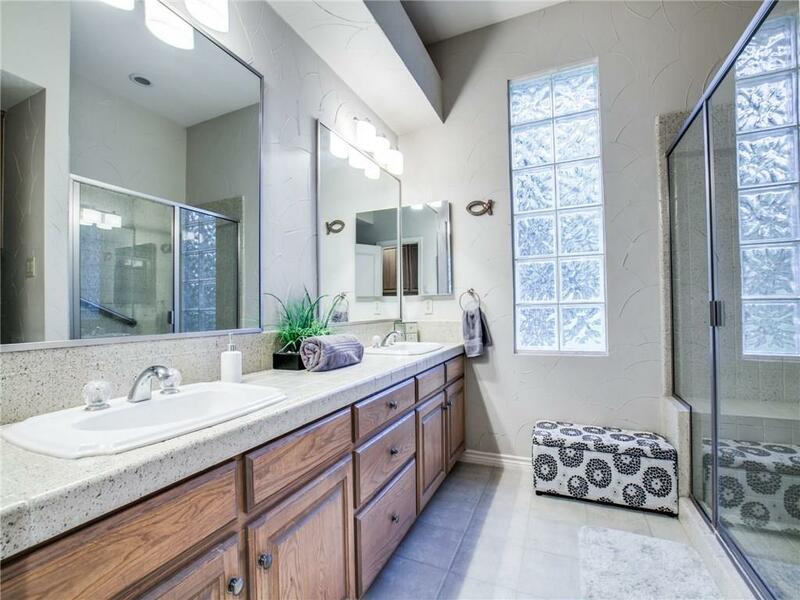 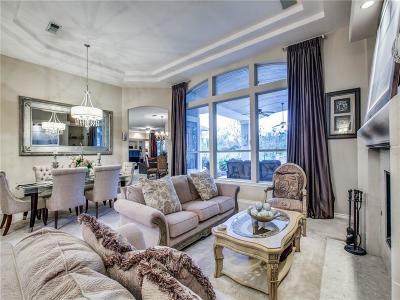 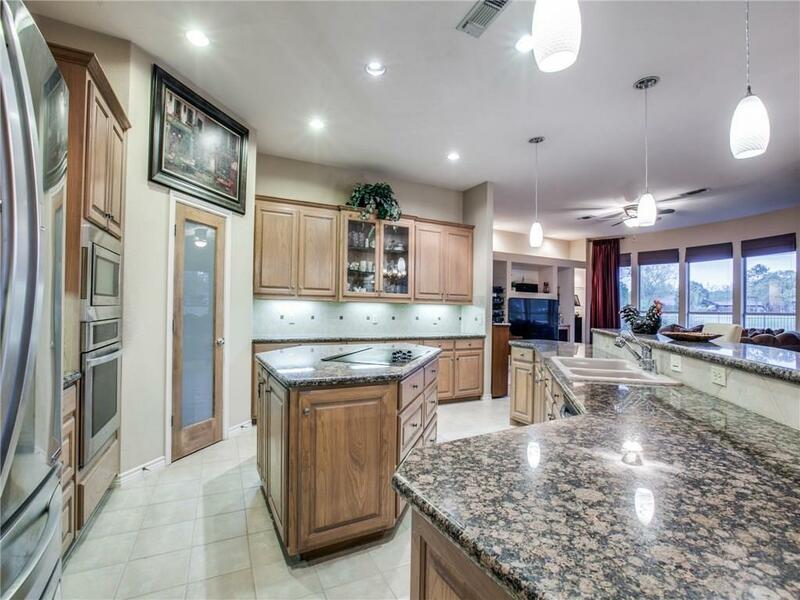 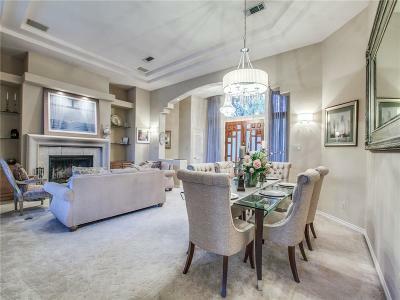 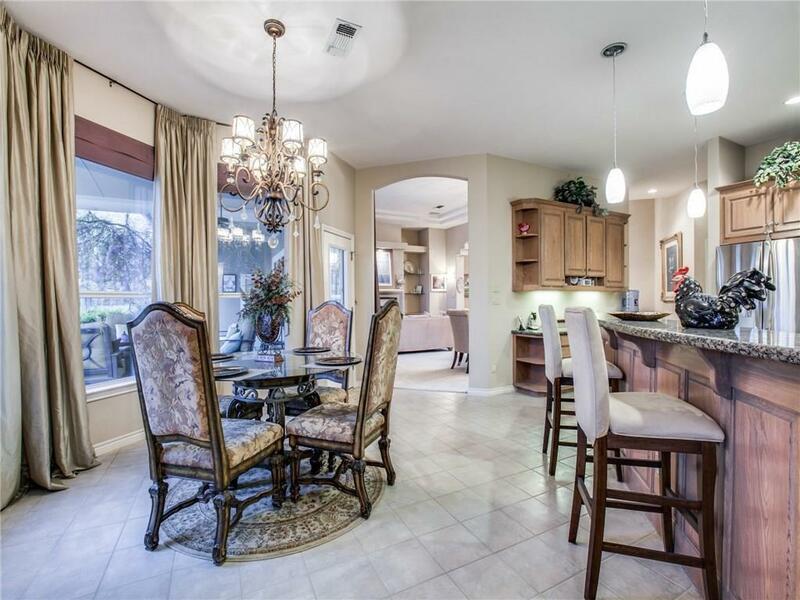 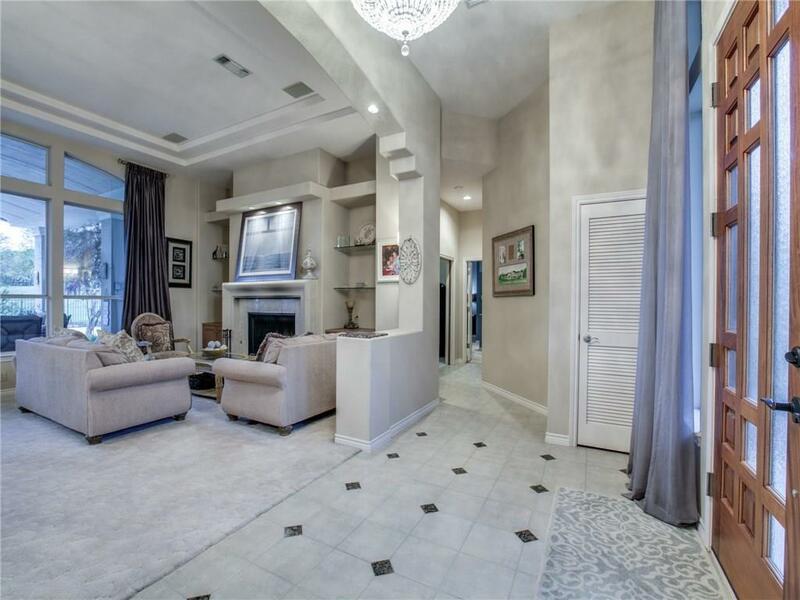 WELCOME HOME TO YOUR GORGEOUS TROPHY CLUB GATED GOLF COURSE ESTATE HOME ON 1.54 ACRES! 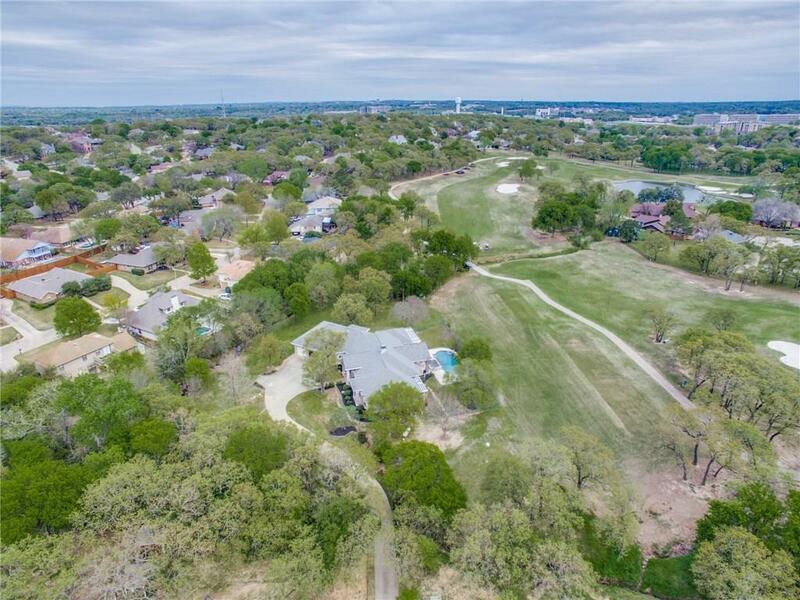 Bordered by two creeks & approx 300 ft frontage on #4 tee box of Hogan Course. 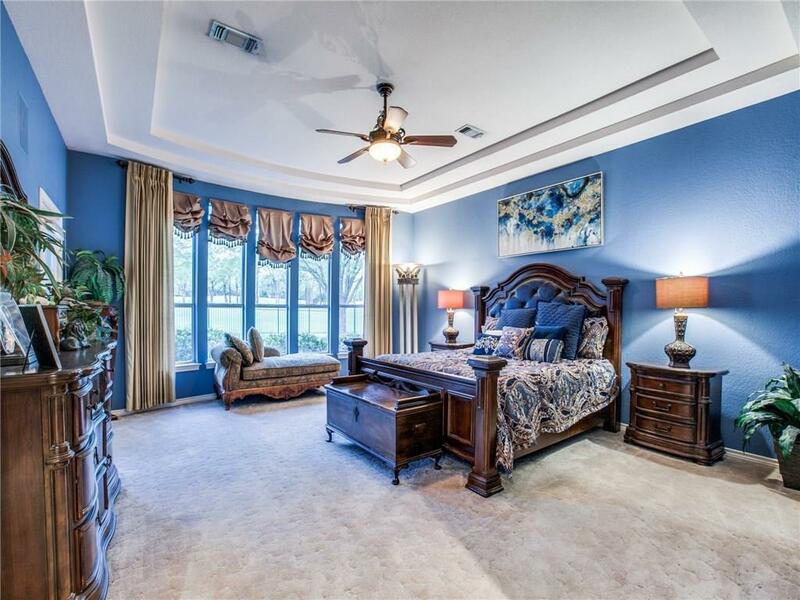 All rooms with sweeping views of the golf course. 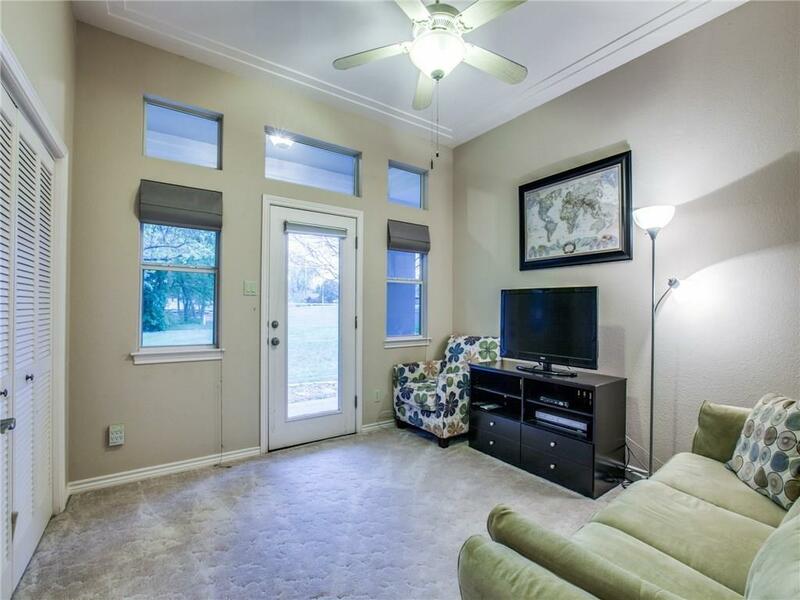 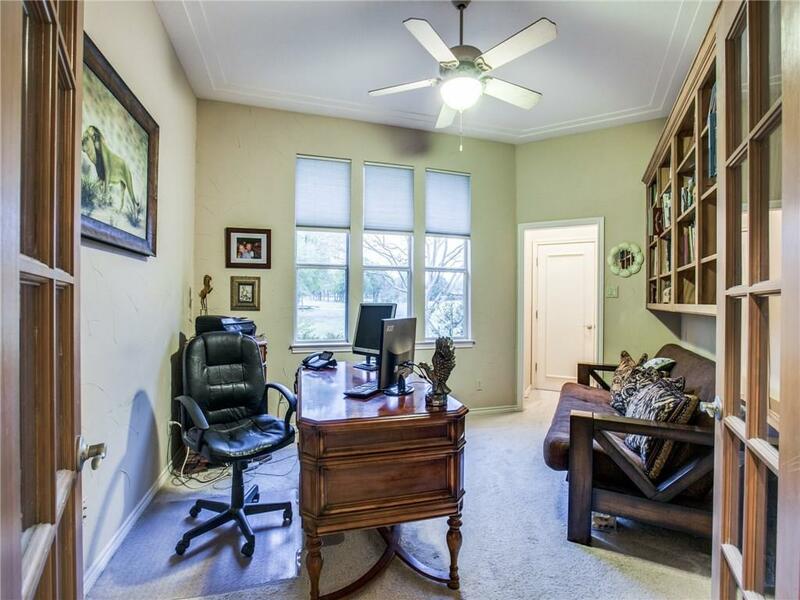 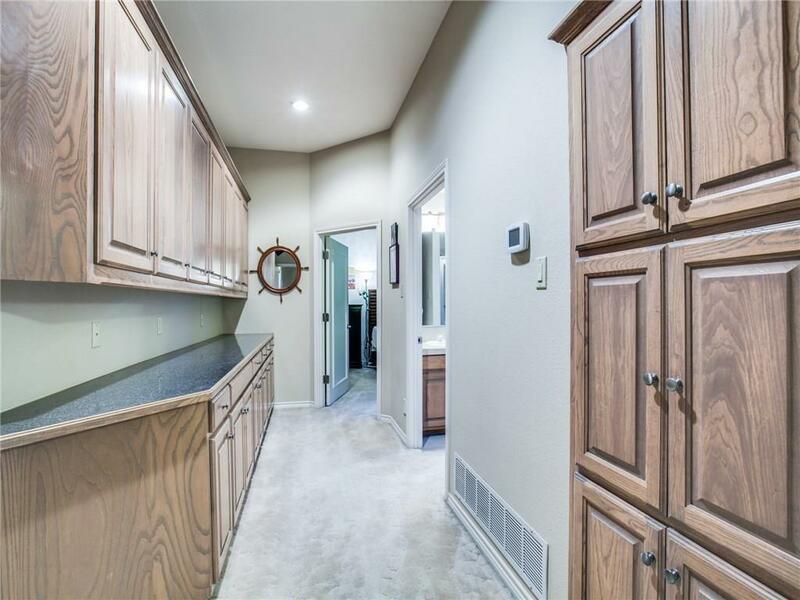 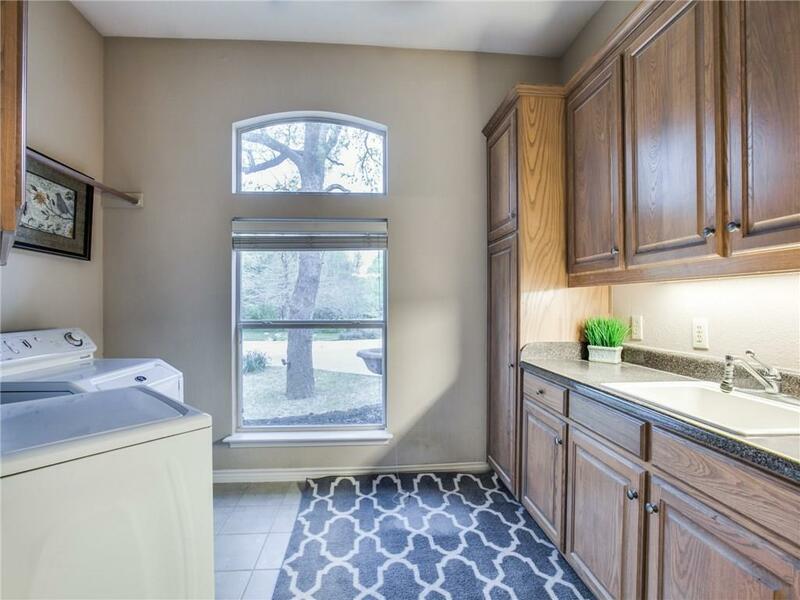 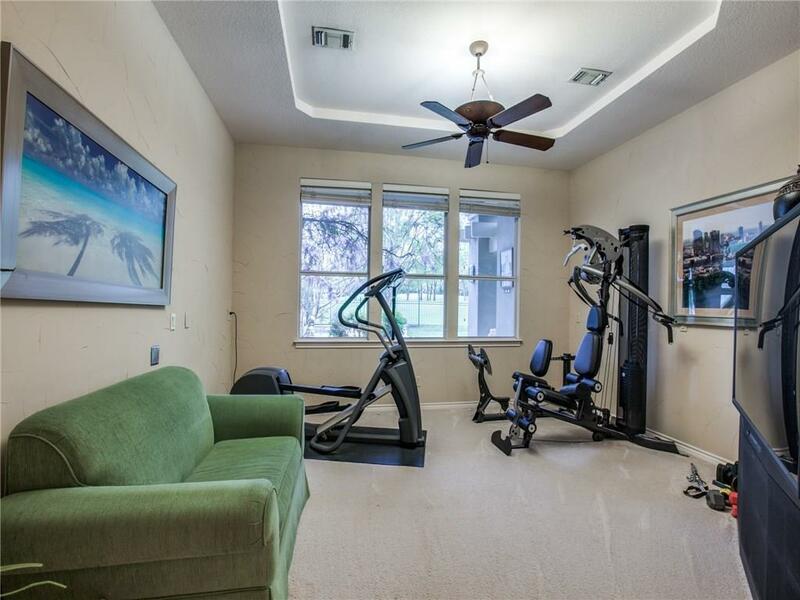 Huge kitchen with custom ash cabinets & granite counters, 2 living & dining areas, family room has an electronics closet behind TV, master bdrm & bath with 2 walk-in closets, dbl sher & jet tub, 2 bdrm 1 bath suite(mother-in-law)in opposite wing that's plumbed for sink under hallway counter, exercise rm or 4th br. 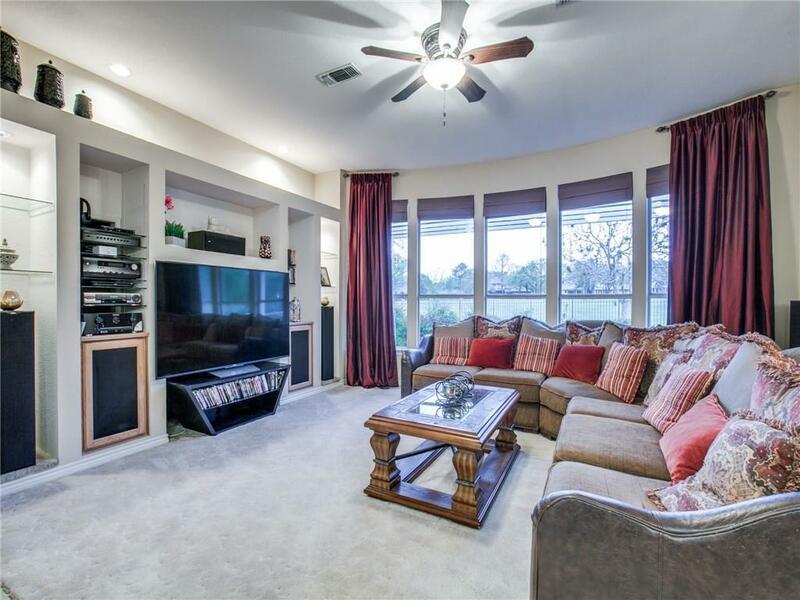 Cent vac sys, stereo speaker sys, 3 zone Geothermal sys. 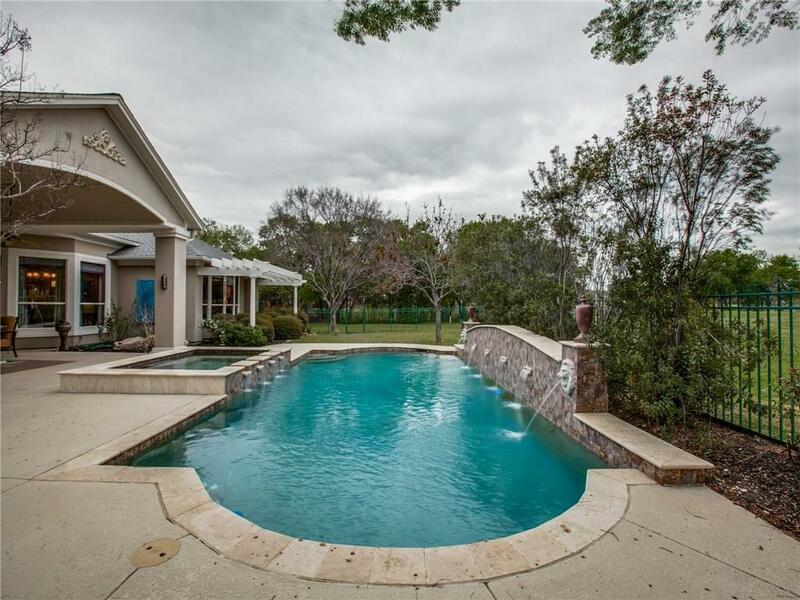 huge covered patio overlooking beautiful pool and heated spa. 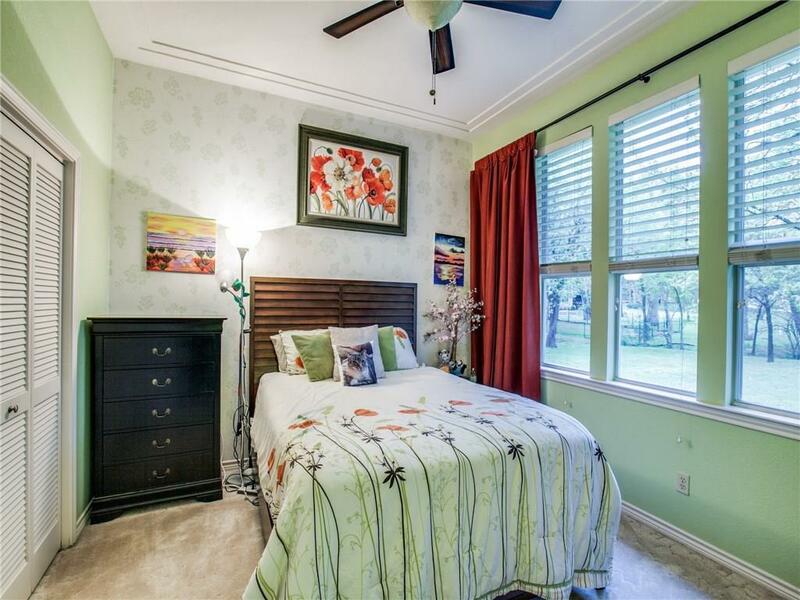 Come escape from the stresses of everyday life in this tranquil property.